Because every case, every person, and every set of facts are different and complex, clients need an attorney that can approach their problems and issues from many different perspectives. Government Officials, Law Enforcement Officers, Business Managers, the public, and clients all look at problems from their own perspective and analyze the law and issues from their own experience. Clients need to understand who and what may have the greatest impact on their case. Mark has the broad experience to advise his clients while considering all these factors. After high school, Mark enlisted in the U.S. Air Force as a security specialist (military police) and later crossed trained into military intelligence. Mark completed his undergraduate degree while in the service and left active duty to go to Temple University, School of Law. While at Temple, Mark interned with the Philadelphia District Attorney's Office. As an intern in the Philly DA's office he conducted numerous preliminary hearings and summary trials in the municipal court. After graduation, Mark joined the Berks County District Attorney's office. 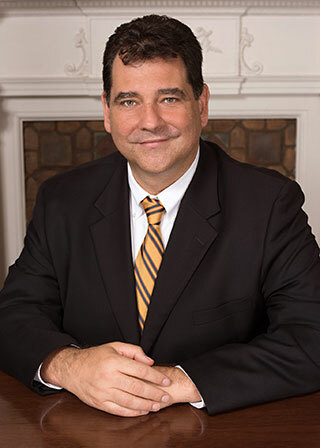 Within a few months, Mark became the senior trial attorney in his assigned criminal courtroom and assisted junior attorneys in their development as prosecutors. From there he joined an insurance defense firm and then opened his own practice in Allentown, PA with a friend from law school. By the time Mark opened his firm, he had hundreds of hours before the court conducting motions, hearings and jury trials. While practicing law, Mark maintained his membership in the U.S. Air Force as a reservists and earn his commission to Second Lieutenant. At the end of 2000 and in the beginning 2001, Mark began to wrap up his partnership and was called on to provide leadership and increased support to his reserve unit at Willow Grove. After 9/11, he decided to return to government service. Working for the U.S. Air Force, Mark dedicated himself to telling the story of the sacrifices and accomplishment of the military service members by taking media to training base like Ft. Benning, GA as well as to the combat zones in Iraq and Afghanistan, and other areas of interest to the US like the Horn of Africa. After Mark retired from the U.S. Air Force Reserve at the rank of captain, he did two more short stints as a civil servant for Department of Homeland Security, Immigration and Customs Enforcement and the Navy before returning to private practice in his own office.